343 manufacturers and suppliers from 8 countries exhibited in the show and presented their products to a large number of business visitors interested in purchasing of finish and building materials. The effectiveness of the show was confirmed by a number of professional visitors. YugBuild/WorldBuild Krasnodar-2017 was attended by 11 000 visitors. The international exhibition YugBuild/WorldBuild Krasnodar is the largest exhibition of building and finishing materials, engineering equipment and architectural projects in the South of Russia. YugBuild is an effective tool for product promotion at the market of the South of Russia. 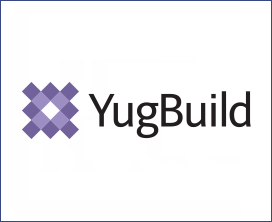 YugBuild exhibitors get an opportunity to attract new customers, increase sales by demonstrating their products and services to YugBuild visitors - representatives of building companies, architectural bureaus, wholesale and retail trade enterprises working in the building sector.